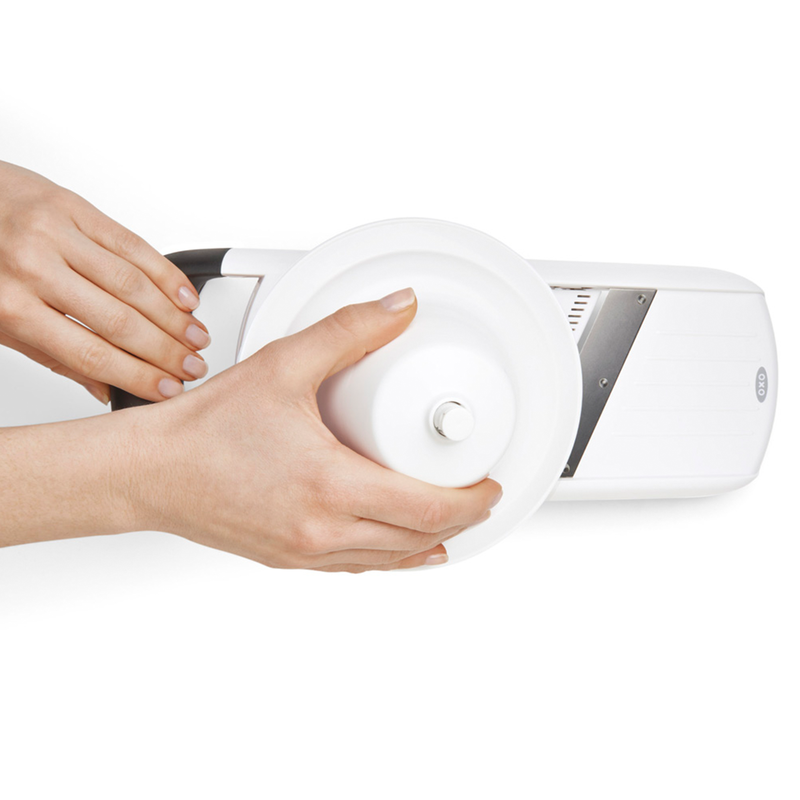 DesignApplause | simple mandoline slicer. 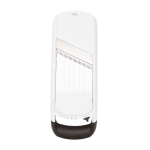 oxo. 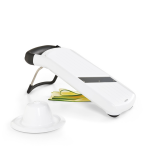 The OXO Good Grips Simple Mandoline Slicer is a staple for any kitchen. The tab slides to easily adjust between three slice thickness settings, julienne setting and storage setting. 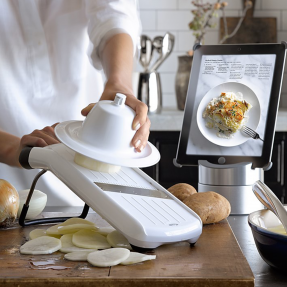 The angled stainless steel blade slices even soft foods with ease, and the textured runway ensures that no food gets stuck while you’re slicing. 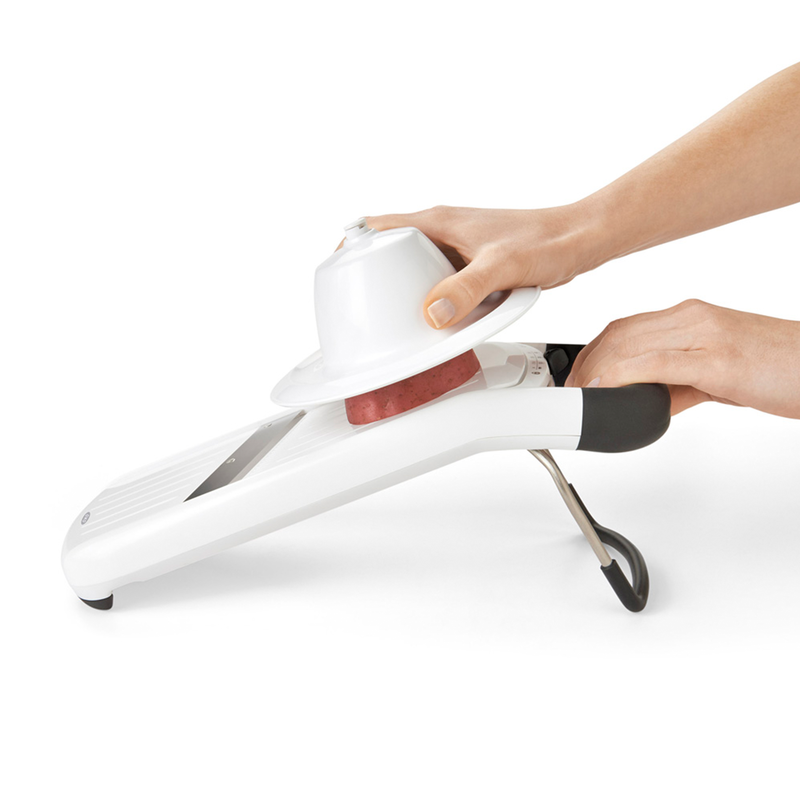 The soft handle provides a soft, comfortable grip and the non-slip feet keep the Simple Mandoline Slicer steady while in use. The spring-loaded food holder pushes food for even slicing with little to no waste, and has a generous rim to protect your fingers. 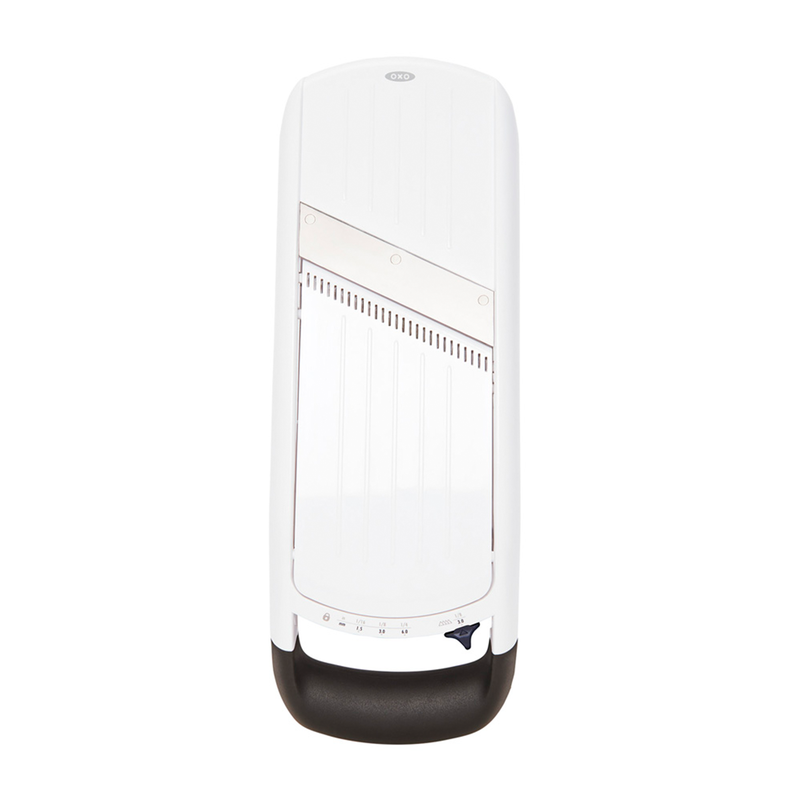 When you’re done, there are no loose blades to clean or organize; the integrated blades are easy to clean. 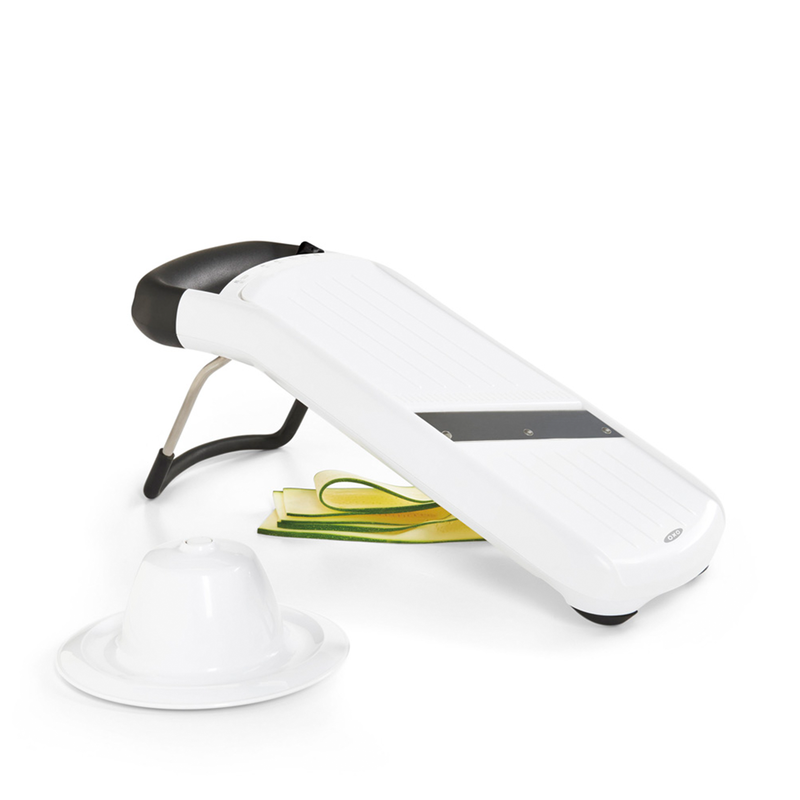 The legs fold in and the food holder nests on the upside-down Simple Mandoline Slicer for convenient, compact storage. 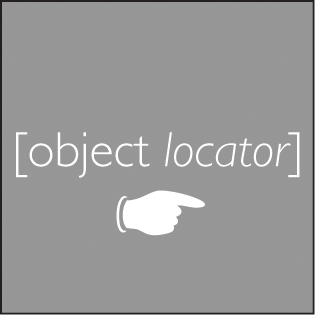 · dimensions: 16″ x 4″ x 9 1/2″ high.